19th June 2015: More lovely weather this evening for a gig at one of the most spectacular settings on the London gig circuit - Hampton Court Palace. 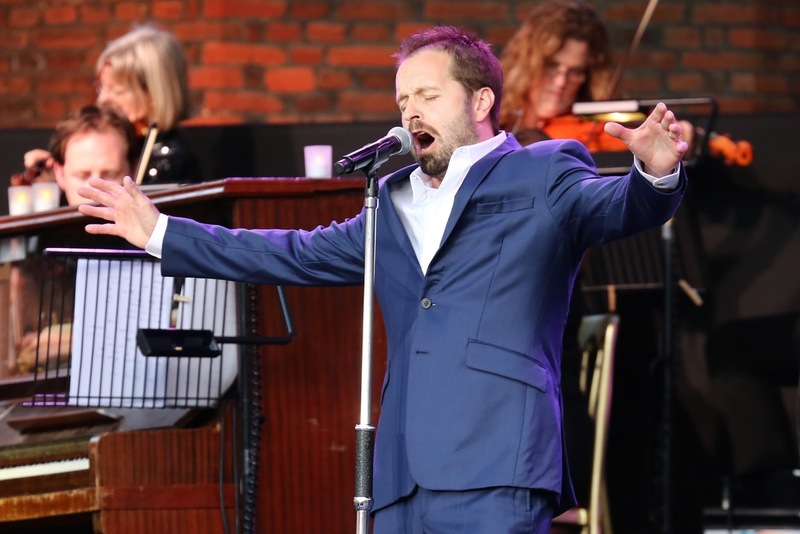 Today was the turn of Alfie Boe, who is probably best known for his performances in Les Miserables as Jean Valjean amongst countless others. 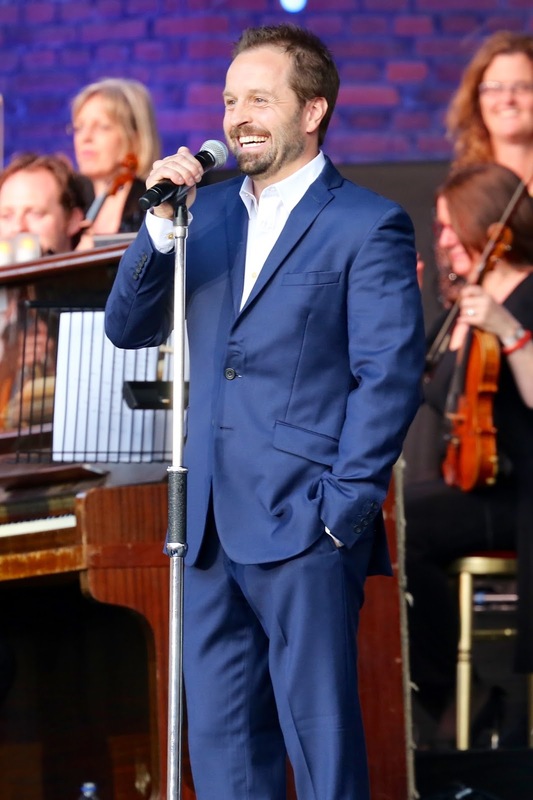 Coming on stage to a sold out crowd in blue suit, he got straight into his set with a few Italian numbers, of which I'd never heard before so I will call them Uno, Dos and Tres. 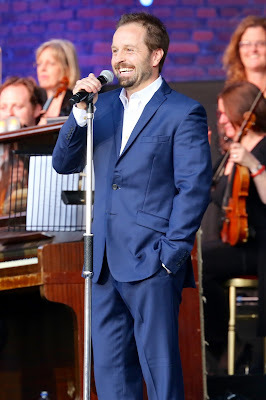 Accompanied by a 16 piece string section along piano, drums, bass and two guitars, it all seemed rather quiet for my liking, but Alfie soon got the crowd going with jokes and banter which got us all laughing, especially when he took a fan's camera and took selfie shots from the stage for them. One of my favourite songs, Being Alive from Stephen Sondheim's musical Company was given the Boe treatment. The arrangement to this wasn't to my liking, it is usually a very simple arrangement with piano and strings, but on this occasion was given more drums which didn't give the song it's poignancy it should have had. Bring Him Home on the other hand from Les Mis was outstanding, with Alfie's vocals shining from the opening notes right until the end. Alfie then did a few numbers from his album Trust, with the title track and Glory Glory Hallelujah stirring the audience even more. The addition of four Rock music tracks from his new project, Pete Townshend's Quadrophenia was a welcome relief, it was just a shame the sound wasn't very loud to engage these songs better. Volare made an appearance alongside Mambo Italiano before his final encore, to which a standing ovation was great to see. A fabulous ending to an entertaining evening.